This herbal balm is a multipurpose skin conditioner that is a soothing natural option for irritated skin, minor scrapes and scratches. Are you a mom on the hunt for a natural product to treat your child’s minor skin irritations? Are you searching for a soothing skin conditioner to use after you wax or shave sensitive areas? Have you just obtained a tattoo? 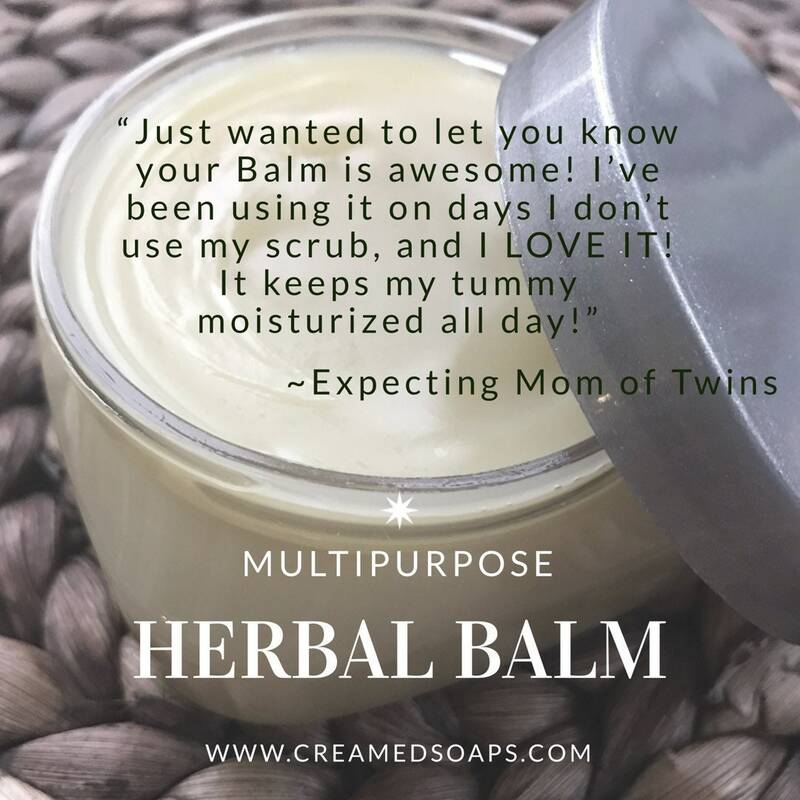 This Multipurpose Herbal Balm might just be what you are looking for! Below are the organic ingredients that were chosen with your skincare needs in mind. Organic Plantain Leaf is known for its natural anti-bacterial and astringent properties. It can help to draw out toxins, poisons, impurities, blemishes and infections from the skin when used topically. Organic Comfrey Leaf is known to promote rapid healing, cell production, strong bones and healthy skin. For that reason Comfrey should not be applied to open lacerations and deep cuts, as the wound may heal on the top only, causing a wound infection. This is a great herb for those who suffer with eczema and dry skin. It is said to be the perfect solution for skin irritations of all kind from psoriasis to acne. Lavender Buds are softening, soothing and also known to have anti-microbial properties. It is gentle enough for sunburn, irritating bug bites, and for dry irritated skin. Each dried herb has been infused in Organic EVOO, then added to Avocado Oil, Organic Coconut Oil, Organic Shea Butter and Organic Beeswax. An essential oil blend of Lavender & TeaTree has been added for scent. DISCLAIMER: This information has been presented as informational only. The ingredients in this balm have not been evaluated by the FDA. This information is not intended to diagnose, treat, cure, or prevent any disease. Please research ingredients prior to using as some are not suitable for those with certain medical conditions. This product is NOT suitable for people with OPEN WOUNDS or DEEP LACERATIONS. Discontinue use if you experience any discomfort while using this product. 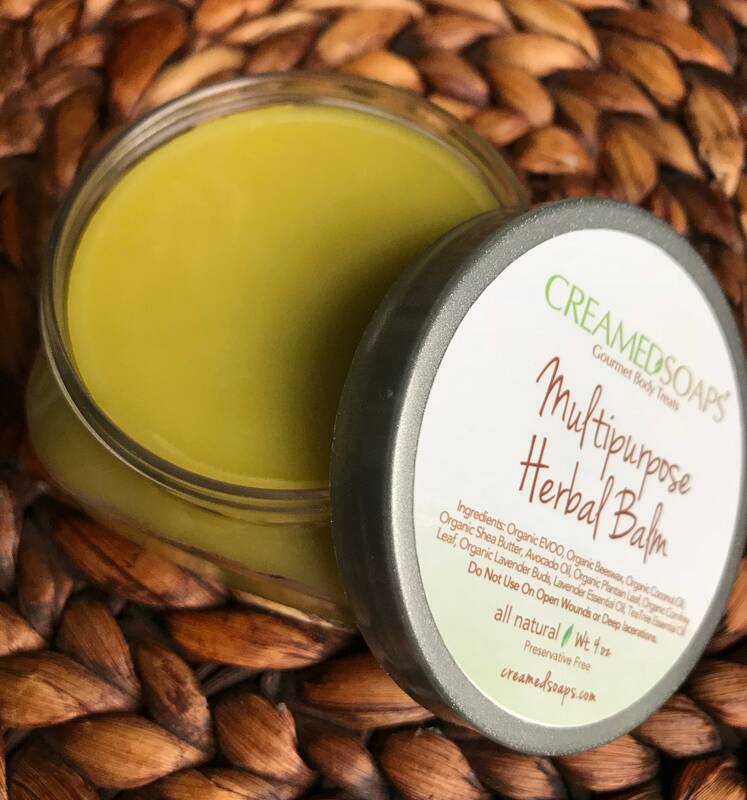 I'm enjoying this balm from CreamedSoaps. It works well with my skin and contains my favorite essential oils!